Set in a natural valley, bordered by a river, and surrounded by forested mountains is the Elephant natural park which serves as a home to rescued and rehabilitated elephants from all over the country. It is amazing to observe the daily routine of the elephants and a glimpse of rural life is worth capturing. The park also aims to provide Rain forest restoration and cultural preservation along with protecting the endangered species. Guided package tours are available on the website. For a day out at the park, it is recommended to carry Hat, Sunscreen, Sandals/Flip Flops, Change of clothing for river bathing, towel, Shoes for walking, Camera, Bug Repeal cream. The ticket prices for various tours are different which include various facilities like lunch and pick-drop. Tuk-Tuk or a rented bicycles or cars. Love this? Explore the entire list of places to visit in Chiang Mai before you plan your trip. Fancy a good night's sleep after a tiring day? 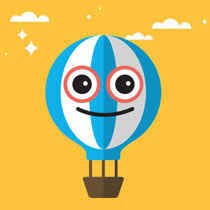 Check out where to stay in Chiang Mai and book an accommodation of your choice. How popular is Elephant Nature Park? People normally club together Wat Phra Singh and Shewe Wana Suite Resort while planning their visit to Elephant Nature Park. People also prefer to start their day with Elephant Nature Park. Of the over 100 vacation tours I have been on in my life, this was easily the best one I have ever done. The reservation had 4 elephants living on it that we got to spend the day with. The elephants were clearly happy and treated very well, having a large plot of land to freely roam around in peace. We got to feed the elephants twice, walk with them around the park, give them a mud bath, and then bathe them in the river. There are zero limitations on this tour; you are right there with the elephants all day and can pet them, hug them, hold their feet, etc. You just have to be careful of where you stand since they are obviously a large animal and may not see you when they are backing up or turning around. Staff was very friendly and clearly cared about their elephants. I have nothing negative to say about this tour! Fantastic project. I was extremely careful when picking a sanctuary as elephants welfare was all I cared about. This place is perfect as it only holds disabled elephants, ones that cannot return to the wild. Would highly recommend this place above any of the other ones. Bit pricier but better for the elephants. Do not go to ones that ride or give the elephants too much human contact. Guides are very nice. Really awesome park where the comfort of the animals is no1. Highly recommended! Please consider the 2 day experience. This gives you much more close up time with the elephants. Ask for Tommy to be your guide! I want to start off by saying that if we did not have Tommy I don’t believe it would have been near as fun or have a little bit of comedy mixed in. He has such a personality! What a fantastic place to visit. I have always been a massive animal lover so making sure that I pick somewhere that treats their animals ethically was priority number one for me. From the video they show you in the van on the way from the hotel about how elephants are treated as amusements to how to approach the elephants, the effort in care is very obvious here. When you arrive you were given a tour of the facilityAt the front for being given baskets of fruit to feed the elephants. It is so unique because elephants know what treats they like and I will literally denied food from your hand if it’s not the flu they enjoy! Warning, it can be a bit sad to see a couple elephants that have injuries from the previous life or mental illness, but the experience is well worth it. It is a very grounding, emotionally moving experience to see the elephants that have a covered while in the care of elephant nature park and to see true happiness in the eyes of an animal that had such a hard life prior. All the dogs and cats or a fantastic addition! 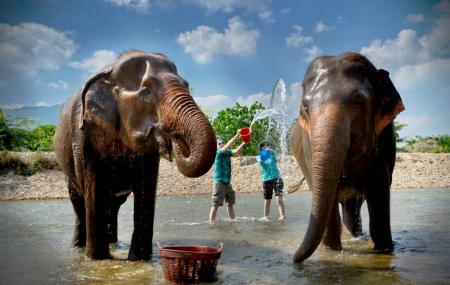 At Elephant Nature Park, one does not ride the elephants but clean and wash them and play with them. It is all about animal caressing and includes no kind of animal abuse. You can book a full day tour package that will range from 2500 THB to 6000 THB depending upon what all you want. You can avail these from the Elephant Nature Park booking office or the local tour operators.